One’s passion is often set aside due to limited time, financial problems, priorities which need more attention, or other personal reasons. Only few people are lucky to be able to live their passion and have it be their primary source of income. 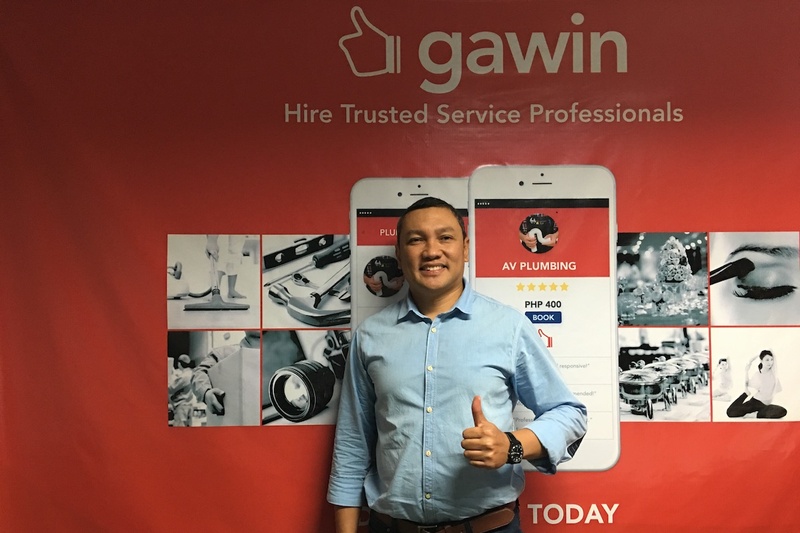 Coach Darius Arceo had a full-time day job before he put up a profile on Gawin. Realizing that his passion in swimming could give him more satisfaction, he decided to quit his job. Since then, he continues to pursue that passion with Gawin by his side. Gawin: Hi Coach Darius! What made you decide to launch your business? It was in 2013 when my wife’s officemates asked me if I could give them swimming lessons. I only charged a minimal fee so I could teach them. When I saw their progress, they urged me to promote swimming lessons. I decided to teach swimming lessons after office hours and during weekends. This eventually led to having my own swimming school. In 2015, I got a call from Gawin, asking if I wanted to become a service provider for swimming lessons. I researched how they operate and how it could possibly help me grow my business. I signed up with Gawin’s platform and the rest is history. What do you enjoy most about teaching swimming lessons? What I enjoy most is being able to share my passion and talent with other people. My students don’t only learn how to swim, they also practice the proper ways of swimming. I consider it a great achievement – seeing them learn and witnessing their progress makes me happy. How do you strike out from other swimming schools? My approach is different. My method of teaching swimming is personalized – it differs from one student to another and depends on their skills. I have an underwater camera that I use to take videos of my students during our sessions. After I review the videos, I show them to my students and we talk about how to further improve their skills. What have you experienced after joining Gawin? After joining the platform, I was surprised to see a huge increase in the number of students I taught. Almost 90% of my students are from Gawin. The platform has been a huge help. After I gave up my daytime job, Gawin has become my partner in pursuing my passion. Gawin made my life easier. Interested in learning the proper ways of swimming? Hire a top-rated swimming coach at affordable, fixed rates. Log on to Gawin Direct, select from the pre-designed packages and submit your request in just a few clicks.